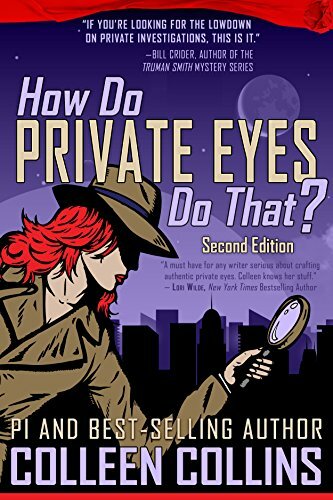 The following article is an excerpt from my recent nonfiction release How Do Private Eyes Do That? Cookies are small amounts of data that websites drop into your browser so they can monitor your internet browsing activity. As they are text, they cannot install anything on your computer. And they are not necessarily evil little creatures as some clue in your browser about preferences you have established for certain sites (such as reading newest comments first or ensuring secure logins). And then there are the cookies that surreptitiously monitor your internet comings and goings, then feed that data to advertisers and others. If you don’t want your personal internet browsing to be stored in their databases, below are three tips for taking a byte out of those cookies. If you don’t want to agree to a site’s cookie-gathering, simply leave the site. Fortunately, browsers offer Do Not Track options so users can opt-out of advertising services and other analytics on websites. Unfortunately, the Do Not Track option is similar to the Do Not Call registry—selecting the option doesn’t necessary mean that the website is going to respect your request. For other browsers, check what security or privacy options are available under Preferences. A second line of defense are add-ons and extensions that you download to your browser. These are not 100% remedies, but another, tougher layer of cookie-protection on top of Do Not Track settings. Please do not copy/distribute any articles without written permission from Colleen Collins. Do not copy/distribute or otherwise use any mages noted as copyrighted or licensed. Click on book cover to go to Amazon page.